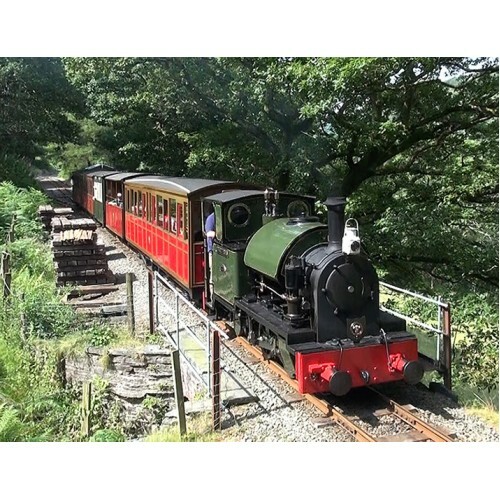 The Talyllyn Railway runs on 2ft 3in narrow gauge tracks from Tywyn on West coast of Wales through a dramatic unspoilt valley 7 1/4 miles to Nant Gwernol. It was established by the 1865 Act of Parliament to carry passengers and slate from the Bryn Egwys Quarry. 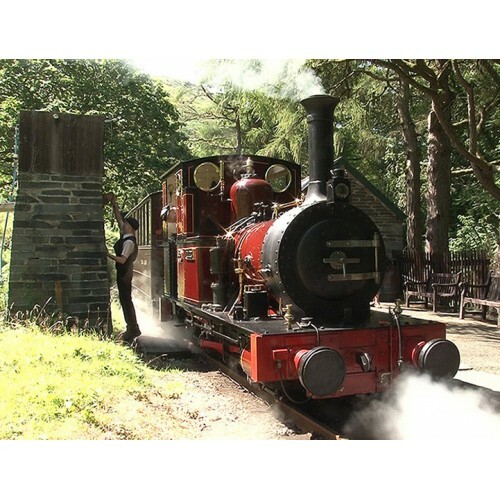 Talyllyn Railway was saved from closure in 1951 by a small group of amateur railwaymen led by Tom Rolt and became the first preserved railway in the world. In 2014 the Talyllyn continues to prosper and is still largely run by a dedicated group of highly skilled volunteers and a small full time staff. This film will take you on the complete journey featuring Edward Thomas, Tom Rolt and Dolgogh steam locomotives. With a dramatic cab ride on Edward Thomas, and plenty of lineside action in perfect July 2014 weather. 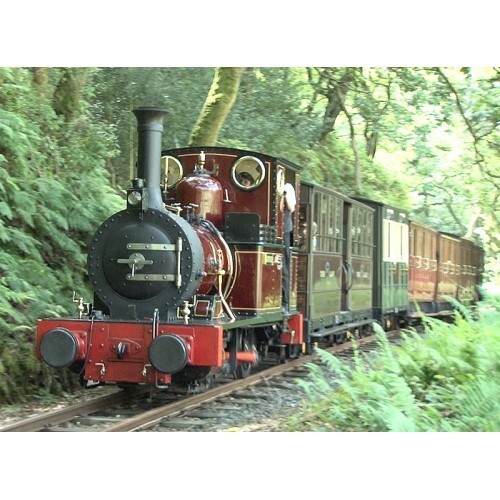 Also featured is an outing with Dolgoch and the Vintage Train. A short section from GWP's 1991 Talyllyn film shows the naming of the new locomotive Tom Rolt. 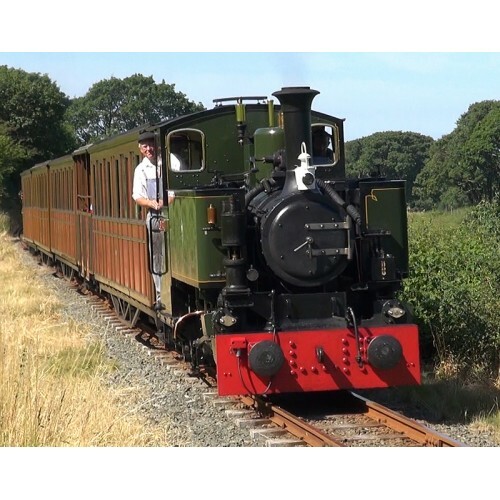 Filmed and edited with 16:9 wide screen high resolution definition Sony equipment by Graham Whistler and and Jeff Freestone with special help from long term Talyllyn Railway volunteer John Smallwood. Also available as a DVD. Running time total - approx 79 minutes. 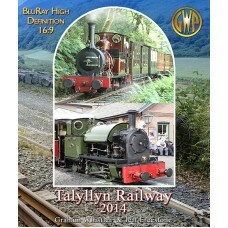 Thank you very much for the superb DVD of the Talyllyn Railway, very prompt delivery. Excellent camerawork and professional production which shows the railway at it's best. A must watch for any narrow gauge fan! We have been enjoying family holidays in North Wales for many years and they wouldn't be the same without spending some time enjoying the Talyllyn Railway. The DVD has been eagerly anticipated since we saw the filming in July 2014 - and we're on it, much to the children's pleasure! We were impressed by how professional the DVD was, and we think it will have a broad appeal - from the holidaymaker enjoying the ride to take advantage of the fantastic walks up the line,through to the serious steam buff! The film evoked many happy memories and I would recommend it to anyone who has enjoyed a visit to the Talyllyn. I’ve always maintained that if you asked the ‘man in the street’ to name a narrow gauge railway he would probably name the Ffestiniog such is the power of its promotional ability but if you asked them to describe it they would unwittingly describe the pioneering Talyllyn. 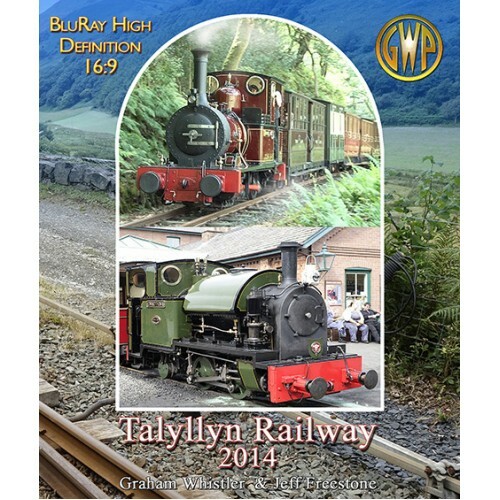 This DVD shows the Talyllyn at its very best – Graham and camera man Jeff Freestone really do produce beautiful videos. Shot over some glorious Welsh days there is really little to fault in this well crafted snap shot of this lovely railway. A professional voice over by Nicholas Owen adds to the quality. The engines are immaculately turned out and the coaches are equally clean and smart. As an overview of the day to day operation of a preserved railway this DVD is hard to beat and is available direct from Graham Whistler Productions. Organisation short newsreel type film for the "Look at Life" series, I think it was called. During that week we travelled, several times behind "Edward Thomas" and to see it again, looking young and as fit as ever, in this DVD was fantastic. Can I also praise the staff at GWP. This and another production were ordered mid to late afternoon on 23rd December and both arrived before lunch on Christmas Eve. Great service, thanks.